High Count, multi strain probiotic powder with 250 billion cfu’s/gram. People have been using this formula for autism, small bacteria overgrowth, and histamine issues. Some children in the Autism spectrum have high D-Lactate in their system, that can cause some neurological issues. 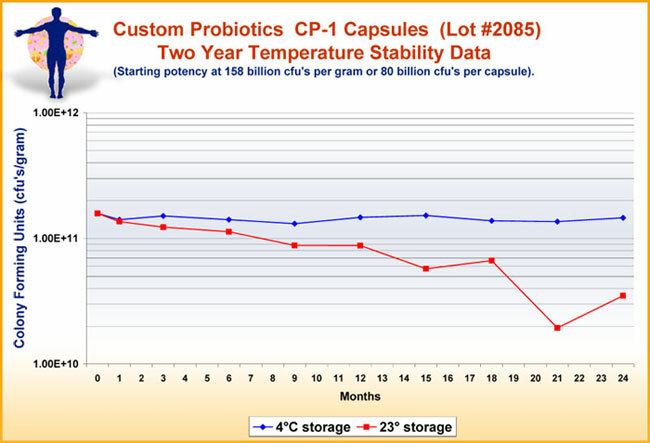 Our D-Lactate free probiotic strains will be a safer formula. The majority of Autistic children have gut flora imbalances and toxicities. Since there is a gut-brain relationship, normalizing the gut flora have direct effect on their cognitive abilities, eye contact, behavior, stool and agitation. For further information please review the Autism section on our web site. Our D-Lactate Free probiotic powder will also benefit people with Histamine and SIBO issues. Below is a table of all the allergens that are NOT present in any of our probiotic formulations. Theraputic quality probiotics help in normalizing the gut. Start with one adult scoop (0.8 gram, 224 billion cfu’s) of the probiotic powder first thing in the morning on an empty stomach (30 minutes prior to eating). Dissolve the powder in a glass of de-chlorinated water and drink it. Do this ONCE a day only. Stay at this dosage for about 3-5 days. If you are not happy with the results, raise the dosage to two scoops a day, one in the morning and one at bedtime. After one week go to three scoops a day if you still are not getting the expected results. The highest dosage we recommend is four adult scoops a day. You can always lower the dosage or stop taking probiotics for a few days. You may also visit our Dosage Suggestions section to more info. Start with one baby scoop (0.1 gram, 25 billion cfu’s) of the probiotic powder first thing in the morning on an empty stomach. Dissolve the powder in a glass of water and drink it. Stay at this dosage for about 3-5 days. Q. In the D-Lactate free formula, what does D-lactate mean and why doesn’t it include the L. Plantarum and the L. Acidophilus strain? A. D-lactate is a result of fermentation of probiotic bacteria in the digestive system. An excess of D-lactate in our system can produce digestive and neurological problems especially with people with Short Bowel Syndrome and autism. L. Plantarum and L. Acidophilus produce high D-lactate and therefore we do not include them in our D-lactate free formula. Our D-lactate free formula contains L. Salivarius, L. Rhamnosus, B. Bifidum, and B. Infantis, strains that do not produce D-lactate. Q. At what age can a child take the D-lactate Formula? I just wanted to thank you for your willingness to help our family with the custom probiotics for our son Daniel. As you know Daniel has been in the D-lactate Free Probiotic for the last four years. His most recent Microbial OAT test showed that there are no issues with bacterial overgrowth and that yeast is under control. We attribute the success to taking your wonderful product. We have been using your Custom Probiotics D-Lactate Free formulation for children with Autism for a couple years now for our 5 year old daughter Mya. She is doing great and its just amazing to see her progress. Our DAN doctor referred us to you because you had the purest probiotics with the potency we couldn’t find anywhere else. Once our doctor explained our bodies biochemistry and how the use of probiotics work we did more internet research and are amazed that publicity on probiotics aren’t a headline! It is truly a life changing supplement that is not recognized. Mya continues to strive and communicate so well I’m not sure what we would do without you and your product. She has had no negative side effects and as always your personal touch of answering our calls for questions as well as the passion you demonstrate has made us very comfortable and extremely confident that Mya will grow into a wonderful girl and woman. Our family highly recommend this product and all of your products. Our 13 year old son was diagnosed with autism at the age of 2. There is no doubt that the vaccinations affected his immunity. Sick…well that word does not do justice and with a family history of Crohn’s disease; I quickly noticed dairy caused my son to scream and double over with pain!! Alternative treatments helped my son tremendously and when we started the D-Lactate Formula for autistic children this past year he became focused, engaging socially, and less hyper. I was shocked recently though when he was off of the probiotics. His anxiety level “hit the roof!” Negative reports from his school teachers stated that he couldn’t concentrate and his behaviors were not acceptable. Mr. Bronozian I need not be a physician to see the “gut/brain connection” here. In-balances in the gut and low immunity affects my son’s ability to learn, concentrate, and have a feeling of well being……..PERIOD!!!! I will never be without the D-Lactate Formula for autistic children again !! God Bless you for helping my child and so many others!! Words cannot describe how thrilled we are with the Custom Probiotics D-Lactate Free formulation for children with Autism. Our six year old son has made HUGE progress with your product. Before taking your probiotics, he was withdrawn, hyper, and his speech was delayed. Almost immediately, he was focused and less hyper. He is now more sociable and we find ourselves enjoying longer sentenced conversations with him. He tolerated the product extremely well, with no side effects. I highly recommend this product to anyone wanting to make a change in their child’s life. Once again, thank you and keep up the good work. My 18 year old autistic son and my 6 year old daughter with juvenile rheumatoid arthritis and uveitis both take your D-lactate Free probiotic formulation. Other probiotics made my son’s eyes red and bloodshot, but my son has no negative reactions from your formula. When our daughter was diagnosed with an eye disease, I didn’t chance using any other probiotic for her. She had no negative reactions from using the D-lactate free probiotic. We have taken our daughter to the emergency room because she was in pain, not from her arthritis, but from her constipation. With taking the probiotics 3x a day after meals, she has a regular bm every day, like clockwork, and very healthy looking. She has been taking your formula which we were using for her brother too, from October until February with regular bms daily. When we ran out of probiotics last week, the constipation came back. I made it a top priority to get our order in as soon as we could because she really needs your product. Thank you for making such a wonderful product. My son Nikolas is 5 yrs old and he has been diagnosed with PDD which is a form of autism. He also has had severe eczema, so bad that to take a bath or a shower was extremely painful. He had to wear bandages every day on his arms due to the broken skin from scratching. He couldn’t sleep due to the itching and pain he was in. Nikolas was covered from head to toe in September with his eczema. For some reason it was getting worse. We tried every lotion and steroid cream available. Nothing helped. I took him to see a nutritionist who works with autistic children. She recommended a diet free of dairy and gluten and also a high count probiotic. We immediately implemented the diet and I called Custom Probiotics and ordered the D-lactate free probiotics that was recommended for autistic children. I received the shipment within 2 days and started him on 1 scoop in the morning and 1 scoop at night before bed. Every 2 days I added a scoop in the morning and evening until he was on 8 scoops in the morning and 8 at night. He did not seem to experience any ill effects of die-off. I didn’t realize it until later that I was using the adult scooper instead of the child’s. No wonder our supply diminished so rapidly! The changes that took place in just 5 days were nothing short of a miracle! His skin was calming down and his speech and attention were incredibly better. Everyone who saw him after the 5 days of treatment were amazed. People have commented that he is a new little boy and I absolutely agree. We were sitting at the dinner table on the 5th day and for the 1st time ever Nikolas asked if he could share the day he had at school with us. We were blown away my husband and I just looked at each other, we could not believe that he actually understood that this is what we did at dinner or that he could actually verbalize his own thoughts and experiences. We sat there and never answered just tears welling up in our eyes. Nikolas didn’t wait for an answer he just started telling us what happened at school, who said what, where they went, every little detail of the day. For anyone with an autistic child you can understand my excitement about what has happened. One day we have a little boy who barely talks and is hard to understand, who doesn’t seem to participate in the things that are happening around him and in 5 days we have a new little boy who is actually here with us and not in his own world! Today as I write his skin is milky white with only traces of his eczema left, I’m sure it will take a while for the scars to heal but thank God no new outbreaks. He is on 2 adult scoops in the morning and 2 at night. We truly thank God for you Harry and all that you have done, we will not be able to be without Custom Probiotics again…..may God grant you many, many, many years.